Reader Question- Too much kiss? Hello Mingle Around blog readers! I just had a facebook message sent to me with a great question. Below is her email and then in the comments, my answer. Feel free to chime in and tell her what you think! Just wanted to throw a dating question out there,,, maybe you can answer or ask other singles… I went on a blind date last night w someone I met on match.com. Had a really good evening, sat at a nice bar, had appetizers and a bottle of wine and non stop fun conversation for 4 hrs. And we scheduled another date , he wants to take me to a nice restaurant. …Then when he walked me out to my car, he held my hand through the parking lot ( wasn’t super fond of that ) and then when we reached my car, he really started the kissing thing, like tongue, and making out. I felt like it ruined the whole perfect night. Not sure if I’m too old fashion or if it has to do with our older age, but I wanted to give him a kiss on the cheek and say thanks. When he called tonite, I mentioned it, and he said I am over analyzing it. He said, ” I found you to be very attractive, and I wanted to kiss you. ” So, whats the deal … is there first date etiquette these days ???? Yes, I think you are over analyzing the kiss and his intentions. If you only wanted a kiss on the cheek, you should have turned your cheek when he went to kiss you. If you went along with the kiss, he had no idea that you weren’t into it. So, please don’t hold it against him… he is a man who was attracted to you— I’d be surprised if he didn’t try to make out with you! I agree with you on the small kiss (cheek or peck on the lips) for a first date. I would be more turned on by a man who didn’t kiss me after a first date than a man who tried to swap spit for 10 minutes. BUT… I wouldn’t hold it against him if he tried. 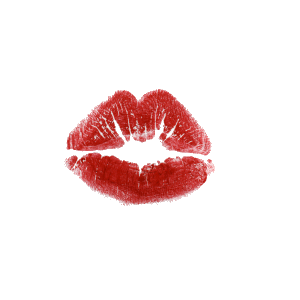 I think that as a woman, it’s your “job” to direct the kiss (if it happens or not)…. as a man it’s his “job” to try to get as big of a kiss out of you with out crossing the line. And your question on first date etiquette these days… it’s out the window. So many people sleep together on date one or two nowadays that everyone is confused on what to do. I think you should have date two soon. Don’t bring up the kiss, enjoy the evening. When he walks you to your car again, it’s your chance to pull away from the kiss or get into it. If you just want a good night peck, then don’t allow anymore than that.